A fascinating journey into the extraordinary world of the king of fish: the salmon. 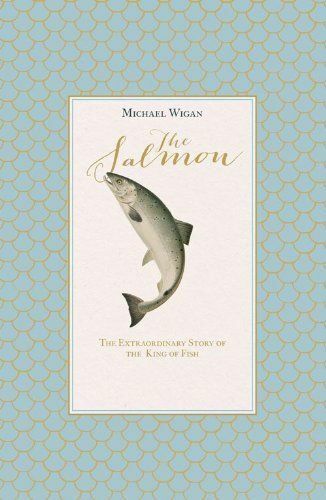 This beautiful book explores the natural history of this most mysterious of fishes.Michael Wigan explores the life cycle of the salmon, weaving his own experiences and stories of salmon fishing and spotting into an evocative narrative. Crucially, he addresses the pressing matter of conservation issues and human management, which in the past has led to fast decreasing populations. History suggests it is the pressure of human development which has narrowed down the survival zone of the salmon, and the author questions whether we can go on altering natural systems and freshwater rivers in order to make space for human populations, and do so in sync with fish needs.In his unique and passionate voice, the author transports us to another world - his writing is beautifully evocative and his excitement for the salmon palpable throughout.